AZB & Partners acted on the biggest and greatest number of deals in the first quarter (Q1) of 2018, topping the charts across league tables published by mergermarket (MM) as well as by Bloomberg and Thomson Reuters (TR). Slaughter and May has topped the mergermarket value league table of international law firms that advised on M&A deals in the 2017 calendar year. AZB & Partners and Shardul Amarchand Mangaldas (SAM) acted on the biggest and greatest number of deals respectively, according to mergermarket (MM), which captured far fewer deals than both Bloomberg and Thomson Reuters databases that we had reported last week, in part due to its different deal eligibility criteria (see below). AZB & Partners was the busiest and fastest growing law firm in India this year according to year-end rankings released separately by Bloomberg and Thomson Reuters. Freshfields Bruckhaus Deringer has topped the mergermarket value league table of international law firms that advised on M&A deals in the record 2016 calendar year. 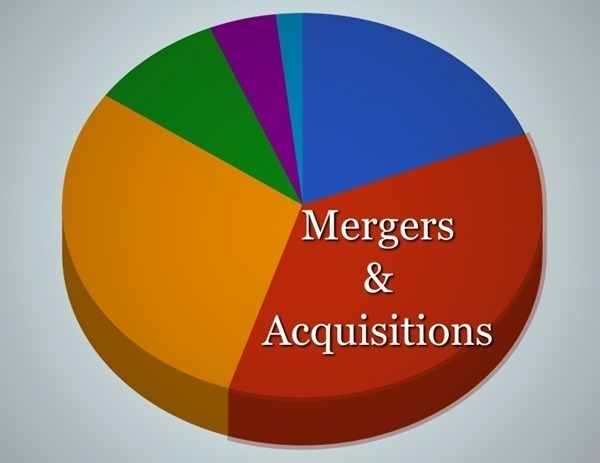 Shearman & Sterling, DLA Piper, White & Case and Allen & Overy had the largest number of recorded Indian M&A deals in the first six months of 2016, according to data intelligence provider mergermarket, each with five or four transactions. Cyril Amarchand Mangaldas has topped the list of 13 domestic law firms’ M&A mandates by value of deals done with $6.2bn worth of transactions, followed by AZB & Partners and Vaish Associates, with stronger performances across the board than at the same time last year. Cyril Amarchand Mangaldas (CAM) beat 2015’s top three firms, and flew past Shardul Amarchand Mangaldas as well, to lead Mergermarket’s M&A value rankings this quarter (Q1). Shardul Amarchand Mangaldas (SAM) climbed up five ranks since Mergermarket’s preview of 2015’s annual rankings, to overtake Cyril Amarchand Mangaldas (CAM). CAM, according to the preview, was the third largest M&A dealmaker after AZB & Partners and Khaitan & Co.
AZB & Partners overtook Khaitan & Co, and the split firms of Amarchand Mangaldas, on data provider Mergermarket’s M&A leader board this year, where the combined deal value of the Amarchand Mangaldas firms would have led the value rankings by a margin of $4bn. Khaitan & Co overtook Amarchand Mangaldas in data provider mergermarket’s half-yearly (H1) M&A charts by value, with the first quarter of Amarchand functioning as the split firms of Cyril Amarchand Mangaldas (CAM) and Shardul Amarchand Mangaldas (SAM). AZB & Partners maintained its deal volume lead which it has claimed for two consecutive years. AZB & Partners’ private equity (PE) practice again won it the top place in the half-yearly league table of data provider Venture Intelligence, making the firm the half-yearly league leader in this space for the third consecutive year. Venture Intelligence, which tracks private equity transactions “involving India-based companies” has published its ranking for the first quarter of 2015. In what will possibly have been its last quarter of existing as a single firm, Amarchand Mangaldas again acted on the most valuable M&A deals though AZB & Partners emerged as the firm with the largest number of recorded transactions. Amarchand maintained its standing as India’s clear M&A leader topping the annual chart for the third year in a row. 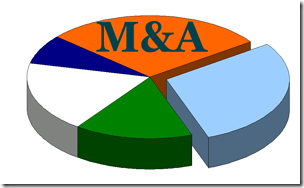 Amarchand Mangaldas maintained its top spot in intelligence provider mergermarket’s M&A league rankings this quarter. AZB & Partners came out on top of a 2014 first-half-year league table released by corporate analytics company Venture Intelligence, recording 22 deals worth more than $2bn.